Becoming an Official – Everyone Welcome to Learn! Swim meets, as well as being an essential part of the sport of swimming, are an important source of funds for all swim clubs, including ours. If you think about it, every meet we and our kids attend is run entirely with volunteers. Officials are present at all competitions to implement the technical and administrative rules of swimming, thus ensuring that the competition is fair and equitable to everyone. Without this commitment from the families of swimmers, the sport could not survive. As a parent of a swimmer, you have the opportunity to be involved with your child and his sport in a variety of ways. One instrumental way of contributing to the success of the program is by volunteering your time and effort. All Swimming Officials are volunteers and contribute greatly to the development of the program at all levels. To give some idea of the level of effort required to put on a meet, check out the list below. 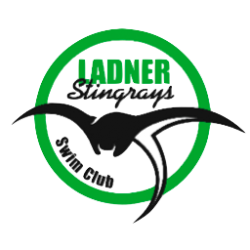 We’ll need everyone to help put on our own Ladner Stingray Super 7 Meet in June. But commitment of time is just a start, there is also the matter of learning how to do some or all of the necessary jobs. Meet Manager The Meet Manager is responsible for planning and organizing every aspect of the meet, and making sure it runs without a hitch. From registering the meet with BCSSA months in advance, through inviting coaches from other clubs to register, handling the torrent of entry information as it comes in, right through to making sure the awards are prepared and distributed properly, this job requires someone with awesome patience, perseverance and attention to detail if the meet is to be a success. Referees The referee has the overall authority and responsibility for seeing that the competition complies with all of the appropriate rules and regulations. The referee resolves all questions related to the conduct of the swim meet and reviews any disqualifications. To train as a referee, an individual must first have been certified as a starter for a minimum of one year, and must be recommended for advancement by the regional officials chairperson. Clerk of Course If you enjoy lots of contact with the swimmers and have good organizational skills, the clerk of course position may be for you. The clerk of course greatly contributes to a well-run meet. The clerk of course checks swimmers into the meet, “scratches” swimmers that are absent or do not intend to swim an event, and seeds swimmers according to their entry times. The clerk of course may also shepherd swimmers from a staging area to the starting blocks. Training involves a clinic and apprenticeship. Marshall Safety is an important concern at swim meets, and the marshal is assigned the important responsibility of maintaining a safe swim environment. This may include supervision of warm-ups, crowd control on deck, and supervising the behaviour of swimmers in and out of the pool. Starter The starter ensures that all swimmers receive a fair and equitable start. The starter works closely with the referee, and assumes responsibility for the start at the referee’s signal. The starter steps the swimmers onto the starting blocks or into the water, directs the swimmers to “take their mark”, and in conjunction with the referee, determines when a false start has occurred. The starter is also responsible for making sure that the starting equipment is in working order prior to the start of a session, and may instruct the timers in their duties. An individual must be certified as a stroke and turn official for a minimum of one year before he can train as a starter. Timer If you’ve ever been to a swim meet, you’re sure to have heard the announcements calling for parents to volunteer as timers. What you may not appreciate is that timers are officials, and that it takes a lot of timers to run a swim meet. 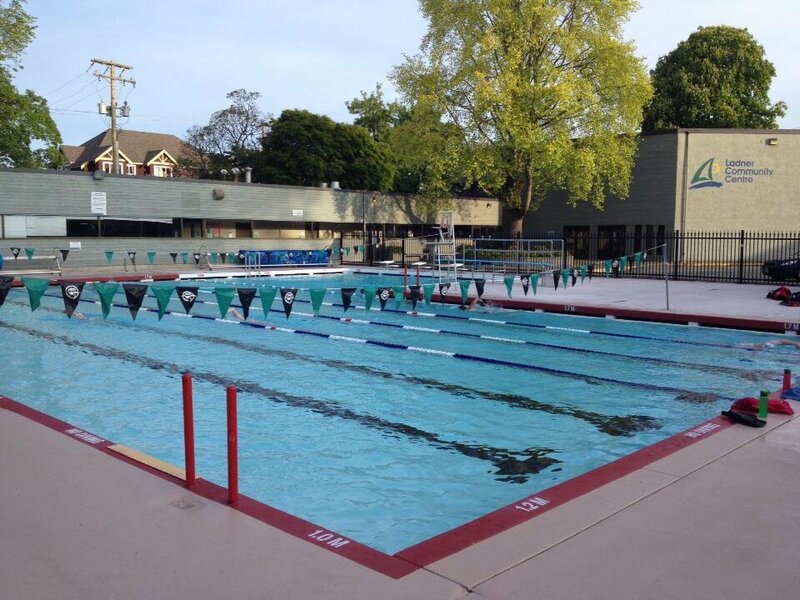 A six lane pool requires 18 timers per session. Most parents start off their volunteer activities as lane timers. As a lane timer you operate various timing devices such as stopwatches or buttons that are attached to the automatic timing equipment. Lane timers are responsible for starting their watches at the Starter’s signal, and stopping their watches or activating their buttons when any part of the swimmer’s body touches the wall at the finish. The watch time is then recorded and used to determine the race results. Timer’s meetings are held just before the start of a session in order to explain the duties of the timer, and answer any questions. Chief Timer Bored with timing? Ready to take on a job with more action and responsibility? The chief timer assures that all lanes have timers, working stop watches and buttons, clipboards, pencils, and timing cards or sheets. The chief timer starts two watches on every race, and delivers a working watch to timers when their own watches fail. The chief timer may also be asked to help train the lane timers at the beginning of a session. Stroke & Turn Judges The stroke judge walks along the side of the pool, typically between the backstroke flags, and observes the swimmers on his half of the pool. The stroke judge ensures compliance with the rules pertaining to the mechanics of the swim such as the arm stroke and kick. The turn judge observes the swimmers from either the start/finish end or turn end of the pool. The turn judge is responsible for judging the starts, finishes, and turns during each race. The stroke judge and turn positions frequently are combined into one position called stroke and turn judge. Before working on their own, stroke and turn judges must attend a training clinic and apprentice under the guidance of a certified stroke and turn official. Recorder If you know your way around a computer, you may be a natural for recorder. The swimmers’ times are entered from their timing results cards into a computer running Hy-Tek Meet Manager software, where they are matched to the individual swimmer’s name. The recorder is responsible for bringing all this information together, for posting the results of races, and for printing labels for the awards. Training involves attending a clinic, followed by an apprenticeship. Runners Runners are responsible for collecting information from the timers/place judges at the end of each heat, and delivering them to the Clerk of Course. They may also be called upon to deliver results cards to the Recorder Scorers in the computer room. This is a perfect job for a younger sibling who would like to help out at a meet.